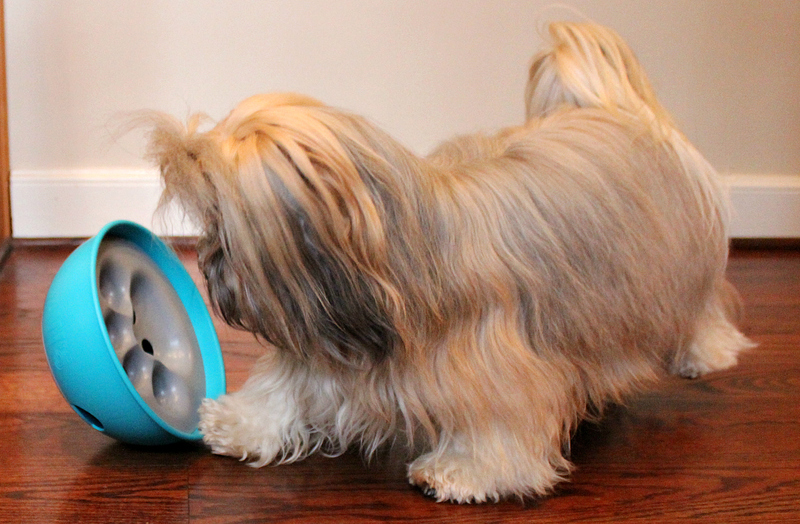 Rocco perfects his Rock 'N Bowl skills! We had a terrific time at the #PAW5Launch Twitter party last night and want to thank all of you who joined us to celebrate the launch of PAW5, a new company that's all about providing enriching experiences for dogs everyday. The company's first product, the innovative Rock 'N Bowl puzzle feeder, was the star of the show along with all the fun dog photos you shared! Last night at the party, PAW5 shared an exclusive coupon code; even if you weren't at the party, you're welcome to use it to save 30 percent on the Rock 'N Bowl! Use coupon code paw5launch at checkout for the Rock 'N Bowl! 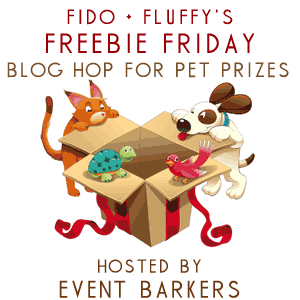 The party may be over, but Fido's Freebie Friday is just beginning! You'll find all sorts of goodies in the giveaways listed below. You can enter them all or add your own! We make it easy by linking them up all in one place. I love those puzzle feeders! They keep animals so amused Just bought a really cool one for my cats on Amazon! Congrats again on winning! That was awesome. I think you'll love the feeder.